There’s nothing quite like diving into cool, blue water at the end of a long, hot day. Nothing quite like lounging by the pool on a Saturday afternoon, or watching the soothing flow of a waterfall over natural rocks. And there’s nothing quite like a beautifully designed and installed pool by Custom Pool Designs. We offer comprehensive construction and design services in the Tyler/Longview area. 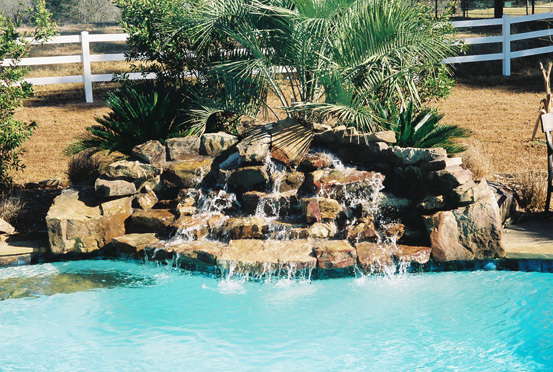 Whether you plan on installing a simple, lovely pool, or want one with a unique waterfall or spa, give us a call today and we’ll have you lounging poolside in no time! Our award winning designs are sure to please. Each project is hand drawn. Call early for your free estimate.